The Sweepstakes Lovers New Year, New You Giveaway has ended. If so, you’ll receive an email on or around Friday, February 5, 2016, letting you know the good news. It’s 2016 and just like each January, thousands of people will have New Year’s resolutions. Which one is the most popular resolution? Lose weight! You know it’s not easy to keep up the enthusiasm and we know it too. This is why we want to help you start the year off right and healthy. We decided to give you the chance to win something that will motivate you day after day until you reach your goals – an Activity Wristband. During the month of January, tell us why you deserve to win by leaving a comment below for a shot at the Grand Prize of a Fitbit Charge HR Wireless Activity Wristband. Plus, earn additional entries by visiting the SweepstakesLovers Facebook page, following @sweepslovers on Twitter, and sharing the Giveaway with your friends on Twitter with the hashtag #SLNewYearNewYouGiveaway! Be sure to use the Rafflecopter widget below to complete your entry. Here’s to your health and good luck! Eligibility: The Sweepstakes Lovers New Year, New You Giveaway is open to legal residents of the fifty (50) United States and the District of Columbia who are 18 years of age or older at the time of entry. Void outside the 50 United States and the District of Columbia. Also void where prohibited or restricted by law, rule or regulation. All applicable federal, state and local laws and regulations apply. Promotion Period: The Sweepstakes Lovers New Year, New You Giveaway begins at 12:01:00 AM ET on Sunday, January 3, 2016 and ends at 11:59:59 PM PT on Sunday, January 31, 2016. 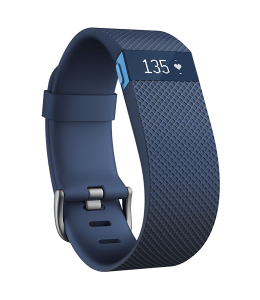 Prize: One (1) Grand Prize Winner will receive a Fitbit Charge HR Wireless Activity Wristband. Approximate Retail Value of the prize is $149.95. Winner: The potential winner will be selected through a random drawing taking place on or around Friday, February 5, 2016. Winner will be notified via e-mail. it make you want to enjoy being outside and with family. I believe that if I had this it would motivate me to exercise more, and at 73, I need all the exercise I can get!! I want to win this FitBot Charge HR because I want to track my steps each day and I want to be able to track my heart rate during exercise so I can insure I am exercising at the optimum fat burning heart rate. This would be awesome to win! Yes, I so want one of these. All my friends at the Gym have one. I’d like to get healthier. I do a lot of walking on my job, but I know I don’t sleep well…I would love to be able to track just what is going on with me. Would love to track my heart rate! I deserve to win because my year has been terrible so far. Both of our cars broke down and everyone has a cold/flu. I know we should be aware of our health, & this might make it a bit easier,. We exercise, walk on thr treadmill, seldom have the television on before 9pm, Hubby sometimes watches the news at 5pm or 10pm(same news). We live a very active lifestyle, this would make it easier to track & share with our PC. Thank your for giving us the chance to compete. The doctor said get moving to get heathy. Know your number – get a Fitbit. What a great way to get fit on our Neighborhood Watch Program in Taylor, MI. walking the neighborhoods.I wish I could get one for all my people on the Watch. To keep track of my steps and HR everyday. I want to track weight loss and be motivated to increase my physical activity. I REALLY NEED TO BE ABLE TO TRACK MY STEPS! THIS WILL HELP IN MY WEIGHT LOSE GOAL!! My children have been urging me to get a FitBit to be motivated to increase my activity levels. I’m excited about the sleep cycle tracking feature! Love to win. I need to get in shape. Hi I want to win this FitBot Charge HR because I want to track my steps daily and get into better physical condition for myself and family. The FitBot will be great to win! I am looking forward to winning such a cool and awesome tracking device for my health!!! I have always wanted one and at this point in my life I could really put it to good use.